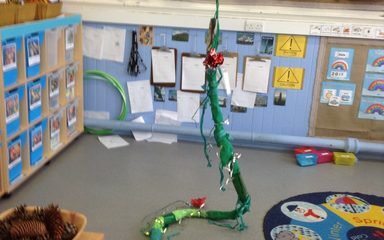 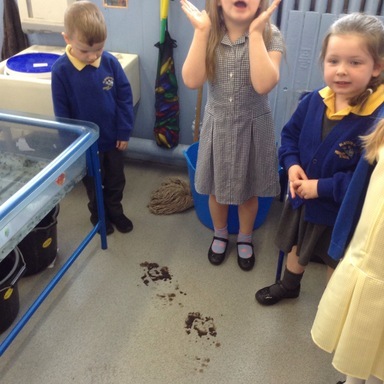 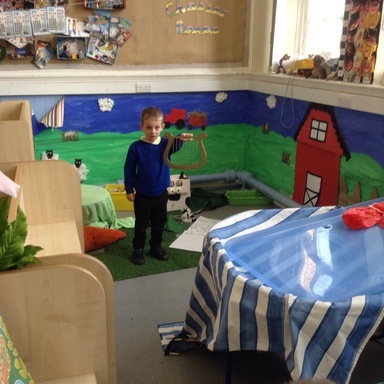 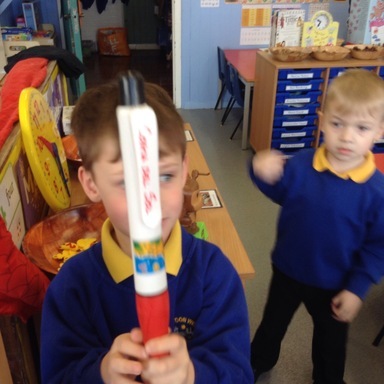 Strange things had happened in the Reception classroom this morning. 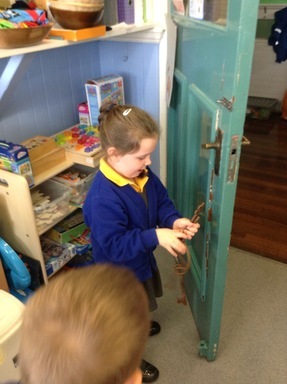 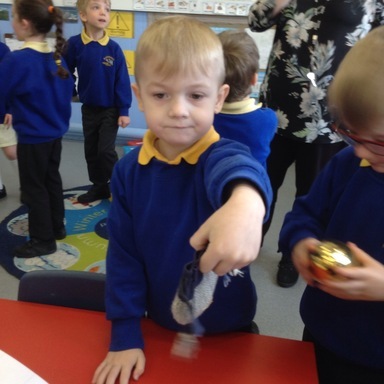 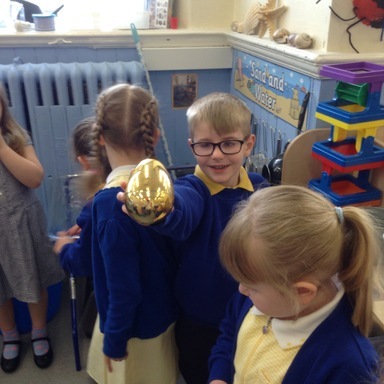 The children collected the clues, then worked together to decide who had visited. 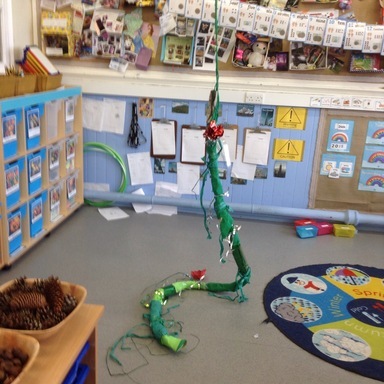 They decided that it could have been the giant from Jack and the Beanstalk. 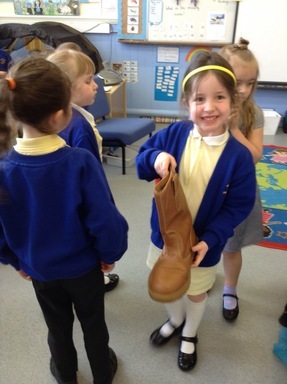 A huge boot, which did not fit any of us. 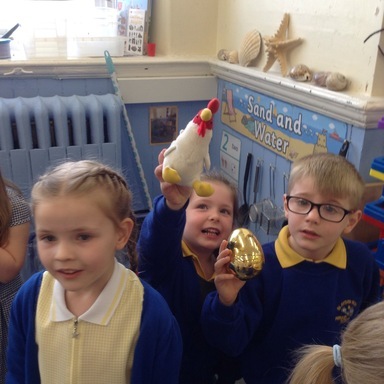 A hen which laid the egg.